WHAT: Disney Store in conjunction with Funko, will unveil a limited edition series of Disney POP! Vinyl that will be exclusively sold at San Diego’s Comic-Con July 12-15. The vinyls are Funko’s creative take on favorite Disney characters and this year the newSparkysaurus, based on the upcoming film Frakenweenie, is expected to be a top seller at the show. A new scented Vinylmation series called So Tasty based on food truck fare will also be available in limited quantities. ABOUT DISNEY STORE The Disney Store retail chain, which debuted in 1987, is owned and operated by Disney in North America, Europe, and Japan. Disney Store is the retail merchandising arm of Disney Consumer Products, the business segment of The Walt Disney Company (NYSE:DIS) and its affiliates that extends the Disney brand to merchandise. Disney Store carries high-quality products, including exclusive product lines that support and promote Disney's key entertainment initiatives and characters. Disney Store opened its first store in Glendale, California and, in doing so, originated the themed retail business model. 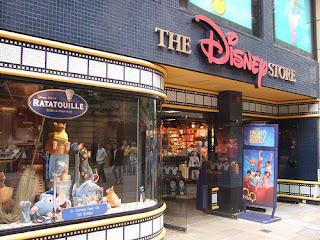 There are currently more than 200 Disney Store locations in North America; more than 40 Disney Store locations in Japan; and more than 100 Disney Store locations in the United Kingdom, France, Spain, Ireland, Italy and Portugal, plus online stores www.DisneyStore.com andwww.disneystore.co.uk. Each Disney Store location offers a magical shopping experience that can only be delivered by Disney, one of the world's largest and most successful entertainment companies. For more information, please visit www.disneyconsumerproducts.com/press/us/disneystore or follow us at www.facebook.com/DisneyStore andwww.twitter.com/DisneyStore. 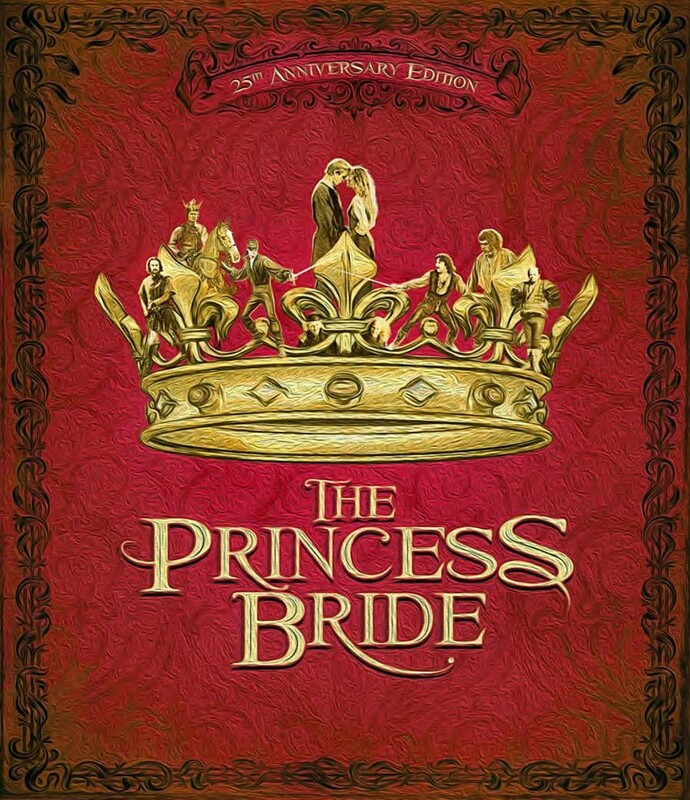 Scale the cliffs of insanity, battle rodents of unusual size, face torture in the pit of despair, and join Princess Buttercup and Westley on their spell-binding journey to find true love when The Princess Bride 25thAnniversary Blu-ray debuts October 2 from Twentieth Century Fox Home Entertainment. 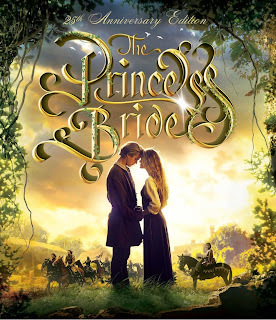 A classic fairy tale complete with heroes, villains, trickery, mockery and death-defying miracles, The Princess Bride captured audiences young and old with its brilliant, memorable dialogue, enchanting story line and bewitching characters. From celebrated director Rob Reiner (The Bucket List) and Oscar®-winning screenwriter William Goldman (Butch Cassidy and the Sundance Kid) comes "an enchanting fantasy" (Time) filled with adventure, romance and plenty of "good-hearted fun" (Roger Ebert). Featuring a spectacular cast that includes Robin Wright (Forrest Gump), Cary Elwes (No Strings Attached), Mandy Patinkin (“Homeland”) and Billy Crystal (Tooth Fairy), this wonderful fairy tale about a Princess named Buttercup and her beloved is "a real dream of a movie" (People). The Princess Bride 25th Anniversary Blu-ray is loaded with special features including the all-new featurette “True Love: The Princess Bride Phenomenon” which includes brand new interviews with Reiner, Elwes, Wright, Goldman, Christopher Guest (For Your Consideration), Chris Sarandon (Fright Night) and executive producer Norman Lear. 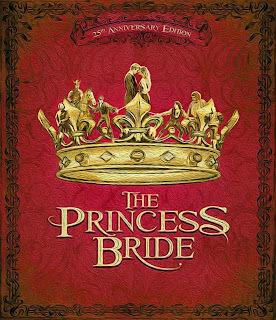 Additionally, fans will have a chance to vote on the Blu-ray artwork on the 25th Anniversary tab of The Princess Bride Facebook page (www.facebook.com/theprincessbride) beginning June 28. Voting ends July 11 and the fans choice will be revealed on July 12. · ALL NEW - TRUE LOVE: THE PRINCESS BRIDE PHENOMENON (Pts. 1 & 2) For 25 years, viewers have watched and loved The Princess Bride. But why does it resonate so strongly for all ages? This two-part featurette offers some answers, along with funny and touching tributes from its cast, director, writer and fans. o Part 1: TRUE LOVE: THE PRINCESS BRIDE PHENOMENON - A Conversation with Rob Reiner, Cary Elwes and Robin Wright. The director and his stars reunite for this lively discussion of the film's 25th anniversary, favorite fan encounters and memories from the set, illustrated by never-before-seen dailies. o Part 2: TRUE LOVE: THE PRINCESS BRIDE PHENOMENON - Hear from the film's creators and cast, passionate fans, and see film tributes and parodies, as we explore why the movie became a phenomenon. Interviewees include Rob Reiner, Cary Elwes, Robin Wright, Billy Crystal, Mandy Patinkin, Christopher Guest, Chris Sarandon, writer William Goldman, executive producer Norman Lear, Rob's father Carl Reiner, and more. Metro-Goldwyn-Mayer Studios Inc. is actively engaged in the worldwide production and distribution of motion pictures, television programming, home video, and interactive media. The company owns the world’s largest library of modern films, comprising around 4,100 titles. Operating units include Metro-Goldwyn-Mayer Studios Inc., Metro-Goldwyn-Mayer Pictures Inc., United Artists Films Inc., MGM Television Entertainment Inc., MGM Networks Inc., MGM Distribution Co., MGM International Television Distribution Inc., and Metro-Goldwyn-Mayer Home Entertainment LLC. In addition, MGM has ownership interests in domestic and international TV channels reaching over 130 countries. For more information, visit www.mgm.com. Los Angeles, CA (June 29, 2012) - Want to learn what goes on behind the scenes in the San Diego Convention Center during Comic-Con? Watch an aspiring graphic novelist take the journey from home to his ultimate dream of having his work critiqued at the Con. Find out what it takes for a costume designer to show her work and live a dream come true. See it all and get answers to all your questions! On Thursday, July 12th, join director Morgan Spurlock and comic legend Stan Lee from 5:00 - 6:00 PM at the NECA Booth (#3145) where they will sign DVD copies of the critically-acclaimed film, COMIC-CON EPISODE IV: A FAN'S HOPE. The DVD ($19.99) will be released on July 10, 2012 and will also be available in two Collector's Editions with figurines ($29.99SRP). DVDs will be available for purchase at the booth. The film can be seen on the big screen on Thursday the 12th from 8:00-10:30 PM in Ballroom 20 at the Convention Center. Spurlock will host a Q&A in the ballroom following the screening. Legendary Update: The Bat, The Con and Your Summer!The Dark Knight Rises, The Pass reveals and John Tower. The wait is almost over. On July 20th, Batman, Catwoman, and Bane finally duke it out in Warner Bros. Pictures' and Legendary Pictures' The Dark Knight Rises - the epic conclusion to filmmaker Christopher Nolan's Batman trilogy. We still have another agonizing couple of weeks before we get to see Bane attempt to take down Bruce Wayne; fortunately, there are ways to satiate those Bat-desires until July 20th, when regular and Imax theaters become superhero-sized. A new trailer was recently released, and the official site features galleries, downloads and a contest sponsored by Chrysler. Also check out these interactive features where you can design your own Tumbler and join Bane's army. And between now and then, there's a pretty big event you might have heard of: the San Diego Comic-Con International. Legendary Entertainment will not only be attending with a booth (#3920) that Nerdist is proud to be part of, but are also going to make things verrrry interesting for fans. Comic-Con attendees, start following Legendary now on Facebook and Twitter to get clues on how to receive "The Pass" to an exclusive Comic-Con event brought to you by Legendary and LG. A director from a Legendary film will reveal exclusive new movie footage from upcoming epics that could include Pacific Rim, Seventh Son, The Great Wall or others. Stop by the Legendary booth where you can see trailers shown on premium LG HD displays including mobile phones and CINEMA 3D TVs, as well as attend an autograph signing by Chris Hardwick July 14th from 10-11 a.m. Even as the onscreen Batman saga concludes, there'll be no shortage of dark heroes. This fall, Legendary Comics brings you The Tower Chronicles, written by Matt Wagner and drawn by Simon Bisley, from a story by Legendary CEO Thomas Tull and Matt Wagner. John Tower is a supernatural bounty hunter haunted by a grim and secretive past - one that compels him to do battle with the evil that lies just beyond the realm of reality. More than just an action hero, he relies on supernatural forensics as much as physical action, and has already displayed the power to attract great talent - Jim Lee has drawn the cover of issue 1, due out in September. The Dark Knight Rises is a Warner Bros. Co-Production © 2012 Warner Bros. Entertainment. All rights reserved. Based on the DC Comics characters and properties. TM & © DC Comics. WHAT: VOLTRON: FORM BLAZING FANS! The Defender of the Universe returns to SDCC! Join us as we celebrate Voltron® memories from some the hero’s biggest fans like Alex Albrecht (Diggnation, Project Lore podcast), Rob Bricken (ToplessRobot.com), Clare Grant with Team Unicorn (Geek and Gamer Girls) and other secret celebrity guests! Plus, we’ll share an update on the live action movie produced by Atlas Entertainment (The Dark Knight Rises), exclusive comic book reveals andannouncements from VIZ Media with Traci Todd (Senior Editor - VIZ Media), Brandon Thomas (writer, Voltron - Dynamite Entertainment), and Voltron Classics toy info from Mattel's Scott Neitlich (Marketing Manager, MattyCollector.com) as we raffle off BIG Voltron prizes! Come "Form the Head" with Voltron and be ready to share YOUR own Voltron story! Kicking off San Diego Comic-Con, Cryptozoic Entertainment™, the premier developer of licensed and original games including The Big Bang Theory: The Party Game and Epic Spell Wars of the Battle Wizards: Duel at Mt. Skullzfyre, is proud to host both The Walking Dead™ creator Robert Kirkman and series actor Steven Yeun (“Glenn”). 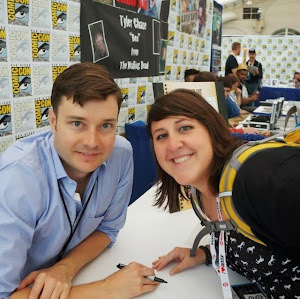 Kirkman will receive fans and sign autographs on Thursday, July 12th from 12 noon to 1 pm in the Cryptozoic Comic-Con Store, at 411 Market Street. Fans can join Yeun on Saturday, July 14th from 2 to 4 pm at the Cryptozoic Comic-Con Store. Kirkman and Yeun’s in-store appearances with Cryptozoic highlight the company’s relationship with both The Walking Dead hit television show and the comic series that started it all. Launching on July 6th, Cryptozoic will unveil The Walking Dead Comic Book Trading Cards, complete with a limited edition binder and promo card. Available at the Cryptozoic Comic-Con Store, this must-have set offers a 90-card base set, plus a 90-card parallel foil base set, creator autographs, sketch cards based on the art from the critically acclaimed series, printing card plates and more. 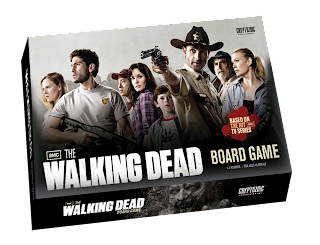 Cryptozoic’s The Walking Dead Board Game hit stores in November 2011 and has already sold out twice! Very limited quantities of third printing will be available for the first time at the Cryptozoic Comic-Con Store. Cryptozoic’s current line up rounds out with The Walking Dead Season One Trading Cards, which is quickly selling out! The set features several highly valuable exclusive items, including complete patches from both Shane and Rick, actor autograph cards and set-use wardrobe cards. The Cryptozoic Comic-Con store will offer events and exclusives through San Diego Comic-Con. Visit Cryptozoic.com/SDCC for the complete schedule and stay tuned to Cryptozoic on Facebook and Twitter for more details. A FIREFLY FOURTH OF JULY! This Independence Day, SCIENCE invites viewers to celebrate by choosing Browncoats over redcoats and tuning in for an all-day marathon of its 2002 hit series FIREFLY. Complementing the 10th anniversary reunion panel that will be held at this year’s San Diego Comic -Con on July 13, the event will reintroduce viewers to the adventures of Capt. Malcom “Mal” Reynolds and his spaceship crew as they seek out (extraterrestrial) life, liberty and pursue happiness. In this original pilot episode, the crew transports passengers to another planet to sell salvaged goods only to discover that an undercover Alliance agent is on board the Serenity. The crew heads off to the rim worlds after picking up three passengers: Book, Simon, and Dobson. Serenity continues to travel through space conducting illegal runs across the star system, which is under the control of the Alliance. A powerful and fearsome mobster named Adelei Niska demands that the crew of Serenity pull a train robbery. The train is carrying medical supplies for a community, and Mal and Zoe get held on suspicion. On a salvage mission aboard a drifting colony ship, the Serenity crew finds signs that the crew of the deserted ship was killed by the cannibalistic Reavers. They find one survivor, however things take a turn for the worse when an Alliance ship, looking for an unspecified Firefly-class ship with brother-and-sister stowaways, shows up and takes them in. On the planet Persephone, the crew is contacted by their old "friend" Badger, the ruthless crime lord, to transport some goods on behalf of a local lord. While at a ball to arrange a transport job with the lord, Mal defends Inara's honor when her current customer insults her. By local custom, he unintentionally challenges her date, Atherton Wing, to a duel. Mal must choose which crew members to save when one is gravely wounded and two others are kidnapped. Simon finds an uneasy haven in a remote village, but River's uncanny perceptions jeopardize the Tams' temporary safety. Simon is kidnapped by locals who need a doctor, while River is threatened with burning as a witch. The Serenity crew pulls a job in a town where Jayne once made some friends and few lifelong enemies. Meanwhile, Kaylee and Simon dance, River rewrites Book's bible, and Inara beds the magistrate's son, a virgin. Following Serenity’s engine explosion, the crew is left with only hours of oxygen. In a delirious state, draining the ship of its oxygen supply, Mal has a series of flashbacks about how he came to own Serenity and form his crew. On return to Ariel, Simon hires the crew out to smuggle River into a hospital so Simon can figure out what the Alliance did to her. The plan goes off without a hitch - that is, until the Alliance catches wind of the Tam siblings' presence on the planet. Jealous of Zoe's relationship with Mal, Wash insists that he go with Mal to try to sell some of the medical supplies the crew stole from the Alliance. In the middle of the deal, Mal and Wash are kidnapped by men working for Niska, the crime lord, who wants revenge against Mal for the botched train heist. Meanwhile, Inara extends her services to a council member. To the crew's surprise, it's a woman. And Simon continues to treat River with some of the medicine he stole, but she suffers the occasional relapse. Saffron (from "Our Mrs. Reynolds") returns - after Mal breaks up her current gig, she convinces him and the crew to help out with a "perfect crime" that isn't. The crime: go to Bellerophon and steal a criminal's prototype laser gun from his collection. The plan: Saffron and Mal sneak in and dump the gun down the trash, bypassing security, and the Serenity crew grabs it from the disposal system. An old war comrade of Mal's and Zoe's, Tracey, mails his corpse to them. He also leaves a message asking them to deliver his body to his family. Some men, claiming to be with the Alliance, are on the trail of the body and catch up to them demanding the corpse. The crew can't find anything on Tracey's corpse, but as they prepare to cut it open, Tracey comes back to life. He explains he is smuggling super-organs in his own body. The Serenity goes to the moon of Deadwood to answer a distress call from Inara's old friend, who runs a brothel. The Serenity crew defends a bordello from a gunslinger, who got a prostitute pregnant and now intends to collect the child; Mal falls for the bordello's madam. Serenity encounters a ruthlessly professional bounty hunter, Jubal Early, who will stop at nothing to retrieve River. But River, feeling unwelcome on the ship, takes a novel approach to escaping from the long arm of the Alliance. SANTA MONICA, CA (June 29, 2012) – Course of the Force is proud to announce a partnership with Otter Pops, the fun, iconic freezer pop brand from The Jel Sert Company, for the inaugural lightsaber relay. The partnership includes branded on-site activities and an exciting opportunity for fans to carry the official event lightsaber during one segment of the Course of the Force through an online Facebook promotion courtesy of Otter Pops. The Course of the Force is a five-day relay, July 7-11, for Star Wars™ enthusiasts to celebrate their love of the Saga. The event is held in partnership with Lucasfilm, Ltd., Nerdist Industries and Octagon to raise proceeds for Make-A-Wish®. Otter Pops has delighted generations for over 40 years with six zippy flavors and lovable Otter characters. The brand plans to bring this same fervor to a great event for charity. Through the partnership, Otter Pops will be on location to create an original otterly awesome experience for Course of the Force participants. Otter Pops will be at each relay stop, offering item giveaways and keeping event-goers cool with free freezer pops. In addition to these activities, Otter Pops is offering a sweepstakes where fans will have the chance to enter to win a free running spot in the inaugural epic relay. Fans can head to the Course of the Force Facebook page (www.facebook.com/CourseOfTheForce) now through July 1 to enter. Participants must be at least 18 years or older and a California resident living within 100 miles of Huntington Beach to participate. The Course of the Force is similar to an Olympic torch relay, except participants come dressed in their favorite Star Wars or popular culture-themed costumes and hand off a custom Hasbro Ultimate FX Lightsaber at quarter-mile markers to the next runner. On July 7, Course of the Force will kick off with an event at the Santa Monica Pier at 10:00 a.m. The relay will start later in the day and end that night at the Redondo Beach Pier. Other planned stops include Huntington Beach Pier, Oceanside and Crystal Pier at Pacific Beach. Fans have the opportunity to participate in the historic lightsaber relay by registering online now at CourseoftheForce.com. One hundred percent of runner proceeds benefit the Make-A-Wish chapters of San Diego, Greater Los Angeles, and Orange County and the Inland Empire. Giving the event a true fan’s touch, Nerdist Industries’ founder Chris Hardwick will be joined by co-hosts Ashley Eckstein of Her Universe and Alison Haislip of Nerdist. They will follow the action from the Course of the Force lead vehicle, a replica of Jabba the Hutt’s sail barge, and broadcast to fans across the world on StarWars.com and the Nerdist YouTube channel (youtube.com/nerdist). They will be joined by special guests from the Saga and pop-culture to put on an epic celebration for both the fans in attendance and watching online. *All times approximate and subject to change. The concluding event at the Balboa Theatre is a ticketed event. All other events mentioned in schedule are free to the public. The Jel Sert Company, based in West Chicago, Ill., is a manufacturer, marketer and distributor of a variety of well-known food and beverage products. Its proprietary brands include Wyler’s®, Wyler’s Light®, Pop-Ice®, Flavor-Aid®, Fla-Vor-Ice®, Royal®, My*T*Fine®, Otter Pops® and Mondo®, among others. Jel Sert is also active in licensing and contract manufacturing with some of the premier brands and companies in the food, beverage and health and wellness industries. Jel Sert has been privately held since its founding in 1926. For more information on the Jel Sert Company, go to www.jelsert.com. Los Angeles, CA, June 2012 – After unprecedented audience response to previous presentations, the doctors of Broadcast Thought, H. Eric Bender, M.D., Praveen R. Kambam, M.D., and Vasilis K. Pozios, M.D., return to Comic-Con to lead two panels. 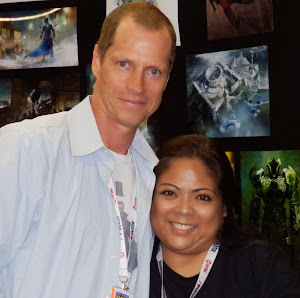 On Thursday, July 12, 2012, from 8:00 pm to 9:30 pm in Room 7AB , they team up with the star of TV’s “Killer Instinct,” Mark E. Safarik, M.S., V.S.M., FBI Ret., Supervisory Special Agent, Behavioral Analysis Unit, to present “Zombies, Vampires, and Werewolves on Trial: The Forensic Psychiatry of the Dead, the Undead, and the Unlucky.” The forensic psychiatrists determine whether these monsters are actually competent to stand trial for their killings or even not guilty by reason of insanity. The doctors offer fascinating real life medical and mental health takes on the lore of these flesh-eaters, blood suckers, and wild beasts, while Mr. Safarik compares the grisly behaviors of these fictional characters to those of real life predators. Then, on Saturday, July 14, 2012, from 7:30 pm to 8:30 pm, join Broadcast Thought again in Room 7AB as they present “Unlocking Arkham: The Forensic Psychiatry of Batman’s Rogues’ Gallery.” Applying real-world psychiatric diagnostic criteria, they explore the mental disorders that affect popular characters such as Two-Face, Harley Quinn, the Riddler, the Joker, and many more. The doctors examine the difference between psychotic and psychopathic villains, and in the process, boldly determine who truly belongs at Arkham Asylum. Broadcast Thought is comprised of H. Eric Bender, M.D., Praveen R. Kambam, M.D., and Vasilis K. Pozios, M.D., three physicians specializing in forensic, child and adolescent, and adult psychiatry, and fans of film, television, comic books, and other popular media. Broadcast Thought provides expert consultation to the media and entertainment industries and co-produces mental health content. Promoting "Accuracy in Entertainment and Entertainment in Accuracy," the group adds new dimensions to portrayals of mental illness, evolves perceptions of mental health matters, and advances popular media in innovative directions. Broadcast Thought’s Comic-Con and WonderCon appearances have drawn capacity crowds, and their approach has been featured in The New York Times, The Huffington Post, Wired, ABC News, AOL News, British Medical Journal, Newsarama, Entertainment Weekly, and Discover. Mark E. Safarik, M.S., V.S.M., (FBI Ret. ), is a former Supervisory Special Agent of the FBI’s famed Behavioral Analysis Unit. Mr. Safarik is Executive Director of Forensic Behavioral Services, Inc., and the star of Killer Instinct, a television series based on high-profile murder cases from his career. He has also appeared as an expert on Dateline, Court TV, Forensic Files, and Discovery Channel, and has been a consultant to CSI: Las Vegas and Bones. “Zombies, Vampires, and Werewolves on Trial: The Forensic Psychiatry of the Dead, the Undead, and the Unlucky” takes place on Thursday, July 12, 2012, from 8:00 pm to 9:30 pm in Room 7AB of the San Diego Convention Center, San Diego, CA. “Unlocking Arkham: The Forensic Psychiatry of Batman’s Rogues’ Gallery” takes place on Saturday, July 14, 2012, from 7:30 pm to 8:30 pm, in Room 7AB of the San Diego Convention Center, San Diego, CA. June 29, 2012 – San Jose, CA/ San Diego, CA, USA-- Leading biosensor company NeuroSky launches the YouTube sensation, Necomimi, in the US at Comic-Con in the San Diego Convention Center. A concept born in Japan by Neurowear, a fashion electronics company, Necomimi’s popularity skyrocketed within the anime and costume communities. Now general audiences are clamoring for the fascinating brainwave cat ears that respond to the wearer’s mood. Necomimi is a headband with cat ears that move according to the user’s feelings and emotions in real time. Necomimi, powered by NeuroSky’s ThinkGear technology, gives people a chance to express their moods in a real-time, unique way. Three emotional states create cat-like reactive movements that show how interested or relaxed the wearer is. When something catches the user’s attention, the ears shoot straight up. When the wearer is relaxed, the ears droop down. When both highly focused and highly relaxed --or “in the zone” -- the ears will wiggle back and forth. Necomimi is priced at $99.95 and will be available for sale at Comic-Con from booth 305, or through select authorized resellers, retail partners and on necomimi.com. About NeuroSky: NeuroSky, Inc., a bioelectronics company, is the leader in Brain-Computer Interface technology for consumer product application. Founded in 2004 and headquartered in San Jose, CA, NeuroSky works with industry partners, developers, as well as academic and research institutions to provide innovative products and solutions across a wide range of industries. Grounded in more than 60 years of research, NeuroSky's precision-grade technology has taken proven research EEG (electroencephalograph) technology and evolved it for application to the mass consumer market by making it more user-friendly and cost-effective. The EVIL DEAD gets Animated MONDO style! PSYCH is coming to SDCC 2012! G4 is coming to San Diego Comic Con 2012! Dark Horse Horror: Drawing on your Nightmares. HOUSE AT THE END OF THE STREET 10 New Images! EXPENDABLES 2 FINAL POSTER DEBUT! THE HOST Brand New Intro and Extended Excerpt! True Blood Recap: Turn, turn, turn! 50 shades of Magic Mike!